Blip.fm is internet radio made social. It's easy to search for, play, and discover free music recommended by real people. Join today to create your own free station and start listening to @technosomething. 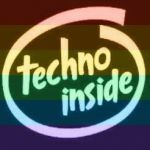 technosomething It's so easy... #QuitYoShit #LateNight #Happy420 #FoLLoW!!!! technosomething I still can't get over this bear. Seriously, look at the bear.